Everyone loves a doughnut, but not the calories it comes with! 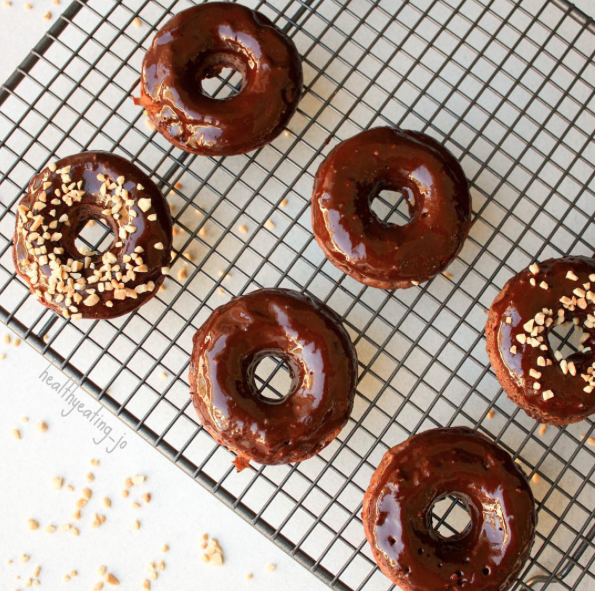 The amazing Healthy Eating Jo has made a life-changing recipe for doughnut enthusiasts – chocolate pronuts (protein doughnuts)! It’s soft to bite, with luscious chocolate that just MELTS in your mouth. On top of that, it’s sugar-free! How can you not indulge in such a decadent dessert? Blend all ingredients until smooth. Spray coconut oil on donut pan. Pour batter into pan. Cook at 180C for 10 minutes. Turn out onto wire rack immediately to cool. Melt all ingredients in a bowl over a pot of boiling water. Stir well. Dip the donuts in icing. Enjoy!